Welcome to a new week here at Chronicle! Thanks to everyone who's tuned in for the first couple of weeks. Please continue to tell your friends about Chronicle. We're up and not going anywhere. Also, make sure to Share or ReTweet anything you like on social media. We've gotten lots of favorites and likes, but the better way to show your support is to spread the word, so please click Share or ReTweet instead. An even better way to show your support is to click an ad at the bottom or leave a tip in the Tip Jar. I was alerted that the pre-selected amounts in the tip jar were less tips and more "tax-free deductions." Those choices have been fixed to more reasonable amounts. However, if you would indeed like to use Chronicle as your tax shelter just click on the TIP JAR button on any page and enter any generous amount by choosing Other! For today's notes, we're going to take a look at some fantasy Youtube shows that you should be watching. These are all ongoing series with seasons of episodes. They all center around a group of adventurers, but each has its own take on the concept. Keep in mind that most of these are fairly low budget. You have to suspend your disbelief, ignore cheap props, turn a blind eye to obvious makeup, and imagine the forests of Washington state are actually a distant land of adventure. It's worth it for the stories and the comedy and a much better alternative to any reality program. 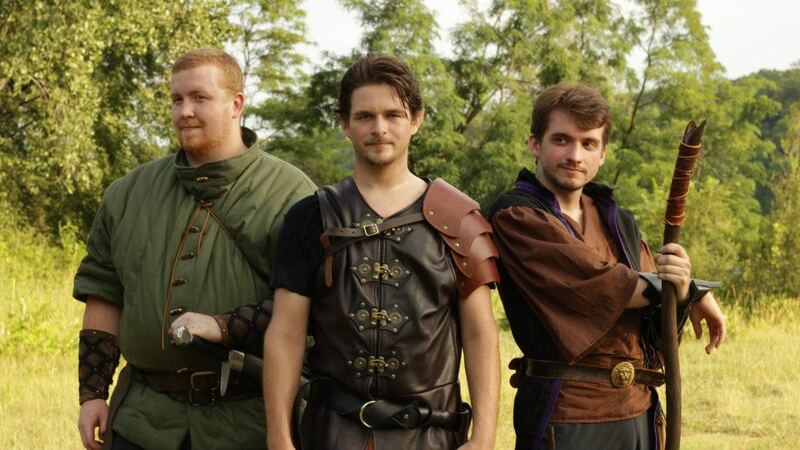 Have a fantasy web series that you think everyone should be watching? Leave a comment either below or on one of the social media sites! 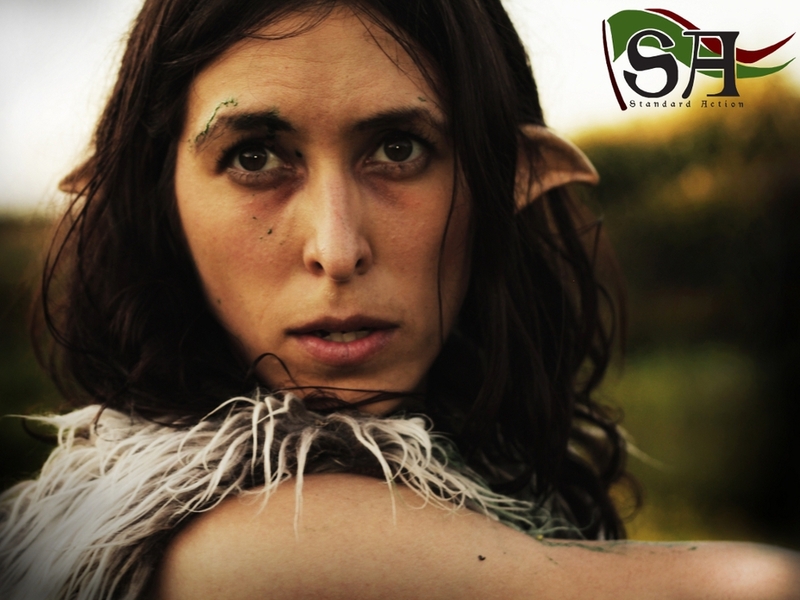 Journeyquest - A fantasy series from Zombie Orpheus Entertainment (ZOE) produced by the Dead Gentlemen, the folks who make the legendary Gamers movies. This one is one of the best; good acting, good scripts, fun dialog. It's got great adventure, but lots of comedy as well. I think the most enjoyable bit is how they turn several of the common fantasy tropes on their head in a humorous way. Also, I've got a soft spot for bards and I love the idea of bards secretly following adventurers looking for epics. Two seasons are out now and they are producing the third now. Go check it out. Standard Action - Produced by Critical Success under the ZOE umbrella, Standard Action follows another ragtag band of adventurers, this group however are all the "other" D&D classes: a barbarian, a bard, a druid, and a sorcerer. It's slowly building towards an epic storyline. There's a good mix of drama and comedy and it seems to have some staying power. Two seasons are out and a third is on the way. Fang and Talon - This show takes the fantasy genre in a fresh direction. Fang & Talon are just mercenaries. These are adventurers just looking to survive. The setting feels like the isolationist landscape of the Dark Ages. The guys are almost always on the road and camping where they can. There is some mystery to their back stories, but there's no ramp up towards epic glory. The episodes are short and easy to devour. The dialog can be a bit quiet at times due to editing, but the scripts are witty and the characters grow on you.